I have a 65 lb visla/pit bull mix.. I tried out many foods for him, but this one was it! When I come home from the store he goes crazy!! Like he can't wait for meal time!! It is a little pricey, but it definitely makes my dog happy so it's worth it! My pit-bull is picky and has had a difficult time with foods I had tried in the past. She LOVES this. Her coat is healthy, her weight is great, and zero digestive issues. A little pricey, but well worth it in the long run. Will definitely continue to buy for her! I cant recommend this enough! As I said in the headline, there is no food I can recommend with a higher certainty. I think this brand literally saved my dogs life. She is older and has worked hard her entire life as a herding dog, and loved it a little too much at times to where she had to be pulled from her job because she was running herself underweight. I tried several brands of food for her wet and dry, to try to get her back into shape to no avail. The foods at the vet did nothing to help her, and most foods we tried either gave her belly problems or skin issues. Finally my aunt gave me a bag of this food to try and within a week she was picking up weight, her coat lost Its dull look, and she was in the best shape I've seen her in since she was just a pup. The state police where I live told me they feed their K9 dogs this food, and I can definitely see why. My dog was almost to the point where we were considering starting to think about what was humaine at that point. She looked terrible compared to a few years ago and it seemed like something was always wrong with her and she lost her spunky additude and her happy go lucky personality. I think this food gave her a new lease on life. She gets up without a problem and she's back to her old self. 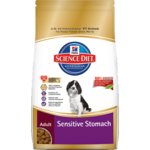 I don't know what it is about this food but it has worked wonders on my border collie to where I think she will be around much longer because of the switch to this food. I highly recommend this dog food brand in any of the flavors because all 3 of my dogs love it and all of them are in the best shape of their life. I also have hunting dogs and this food has helped them as well. I think the ingredients are great and so do my dogs! It is pricey but it's worth every penny to see my dogs looking so good and to see my old girl running around again after being down and out for so long. I hope people try it when their dogs are in good shape or bad because it will equally benefit both. I will never switch dog foods again, I'm a buyer for life! If only we all ate like our dogs, I am convinced we'd be much healthier! 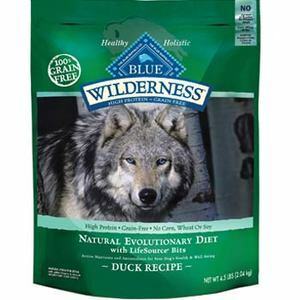 Blue Buffalo Wilderness Adult Duck Recipe Dry Dog Food is what I would want to eat if I were a dog. Perfect for omnivorous creatures, ie my dog, this amazing dog food blend is grain-free yet still rich in protein. When I gave it to my dog, you'd have thought he was reunited with his ancestors. He loved the rich, meaty taste right away. But what was most convincing to me was how his health improved over the next few weeks. He had, and continues to have, so much more energy. He really seemed like a different dog. I just loved the naturalness of the ingredients. Blue Buffalo does not compromise when it comes to quality. Yet, I am so impressed that he loves the taste as well. Quality of Ingredients I love that this food is free of grain yet still manages to be so high in protein. Flavor Selection So many flavors to choose from within the Blue Buffalo brand. I was looking for a more 'pure' dog food to help my aging westie. I came across Blue Buffalo and I have to say that it made a world of difference! We recently adopted a 3 month old cairn terrier and my 14 year old westie wears him out! It's great to see my girl revitalized and acting like a young dog herself! Flavor Selection I switch up the flavor between the duck and the salmon. My fur babies love this good to pieces! 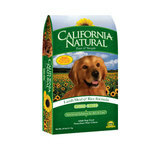 We have fed out dogs Blue Buffalo products for several years. Our dogs love the variety of flavors and textures. 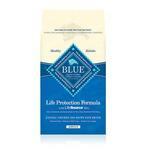 We love the nutritional benefits given by Blue Buffalo. If allowed a vote, our dogs would choose Wilderness Duck every time. We have Cairn Terriers, plus foster for a Cairn Terrier Rescue, which means a lot of skin issues due to corn and wheat allergies. Blue Buffalo does grain free dog food better than any other brand. BB uses actual meat, rather than byproducts, in their foods. Tons of protein, no grains, fruits, vegetables and actual duck in their food? What dog would pass that up? We even use the kibble as rewards during training time. Quality of Ingredients Blue Buffalo make a premium dog food that will keep your dogs healthy and happy for years to come. Our dogs will pick out the life source bits to eat first! That's hard work for a starving terrier! Just read the ingredient list on the bag and you will see all natural proteins, nutrients, vitamins and minerals. 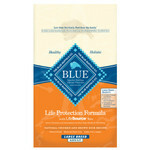 From blueberries, pomegranates, peas and sweet potatoes to duck and salmon, Blue Buffalo gives your dogs only the best. Our fosters come in sick, malnourished and with plenty of skin conditions. In no time at all their physical needs are easily met by the quality ingredients in Blue Buffalo. Flavor Selection The duck flavor is our kid's favorite, hands down. Wilderness also offers Salmon, which is a close second behind the duck. Other varieties of Blue Buffalo offer flavors such as chicken, buffalo and lamb with brown rice. Rotate your feeding and your dogs will pick their favorite! I own a huskie and ever since he was a puppy he has had stomach issues. This food is the only one that has not bothered his stomach and has shown improvement in his health. As soon as we tried this food to see how it is he loved it. If I would let him in the bag he would eat it all at once. I would recommend this product for huskie owners and any other wild dog breed owner. I started giving my dog this food even before he reached the adult stage because huskies are pretty wild and grow really fast. He did t have a problem with the food even though I started feeding him this before the right age, Every dog and breed is different so I recommend talking to a vet before actually giving your dog this. Wild breed dogs need more proteins and certain vitamins and minerals that other breeds do not need. 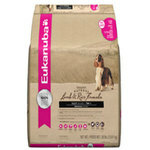 Quality of Ingredients My dog has never had problems with this food and it always smells fresh when opening a new bag. The first ingredient is meat which is what we all want to see in our dogs food. Flavor Selection There is not really a selection of flavors it is mainly just the duck or at least that's what I get for my crazy huskie.